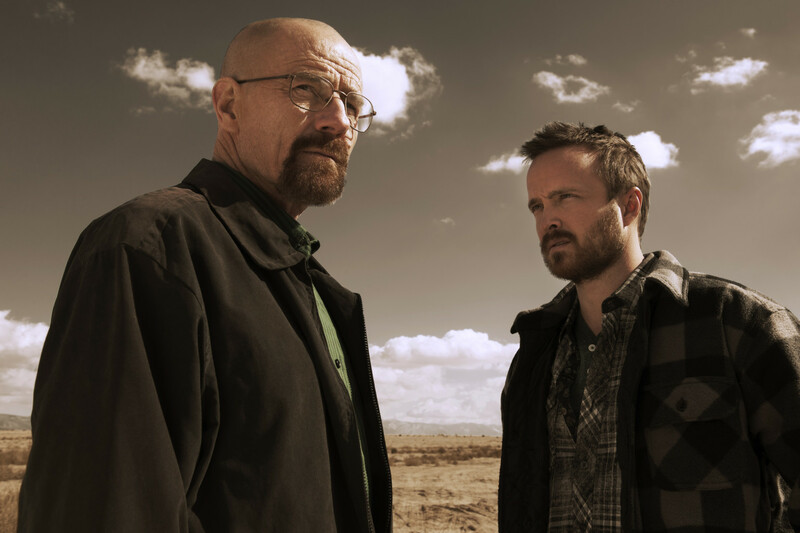 It's already been 10 years since "Breaking Bad" debuted on AMC. The cast of the hit drama reunited with creator Vince Gilligan for a feature in Entertainment Weekly, with stars Bryan Cranston and Aaron Paul joined by Bob Odenkirk, Anna Gunn, Dean Norris, Betsy Brandt, Giancarlo Esposito, Jonathan Banks, and RJ Mitte. If you're getting teary, you're not alone. Star Bryan Cranston told Entertainment Weekly that he found the reunion emotional. "You can't just move on," he said. "Something that was so indelible and meaningful in your life and you can't, and I don't want to. I want to hold on to those good memories of that gathering, both then and during our seven years together. So, it's a bit melancholy, actually. Bittersweet." Brandt said of the reunion, "I knew I would laugh, and I knew I would cry." Paul said he still can't believe he was part of the show. "I love these people," he said. "I feel blessed to have shared this incredible experience that is 'Breaking Bad' with each and every one of these people. I remember when we were shooting the first season, Dean and I were talking, he goes, 'You know, in 10 years, we're going to look back and say, 'Goddammit! I used to be a part of 'Breaking Bad!' And now it's crazy that 10 years has passed, and I am still constantly thinking that. It's like, wow, how lucky we all are." The feature includes an hourlong video roundtable. Brandt got teary as she admitted that she still has never watched Hank's death scene, and that she was in denial of his death. "It was so fun to be a part of that relationship, because they were, you know, flawed, maybe, but such good people — and to be part of the love," she said. "And I just thought, 'Hank should be in the world,' you know? The world is better off with some people in it, and he's one of them. Like, he should've been in it. And I still, I just — I can't watch it." The stars of "Breaking Bad" also hinted that you might catch them on spinoff "Better Call Saul" one day. “Yeah, b*tch!” It’s a #BreakingBad reunion!